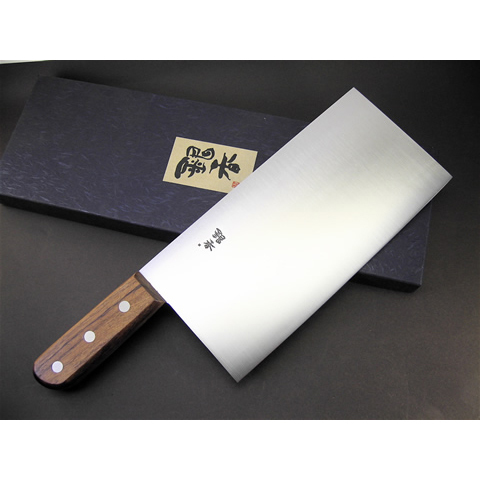 This is the Chinese cleaver of our original brand "Ginga". 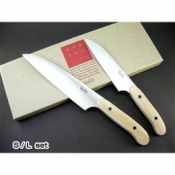 The famous Sweden stainless steel for cutlery is used as raw-materials, and with the appropriate heat processing the knife is tempered to a perfect balance of optimum edge retention (Rockwell hardness 58 degrees). Our skillful craftsmen polish each knife one by one by hand carefully. You can enjoy its perfection in various applications.